Have you ever wondered why people decide to become fans of Facebook pages? Understanding the reasons people become fans can help your business or brand develop better strategies. In this article, I take a look at two studies. 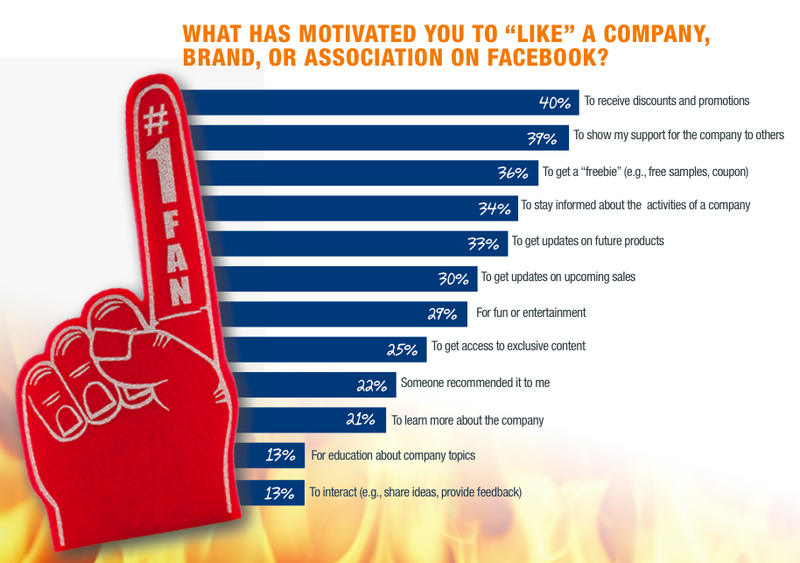 The first reveals why consumers fan businesses on Facebook. The second one examines how marketers are keeping up with the ever-changing world of social media. It’s no surprise that marketers are struggling to stay current with the constantly fluctuating social media trends. In a recent survey by The Creative Group, 65% of U.S. marketing executives considered it at least somewhat challenging to keep up. 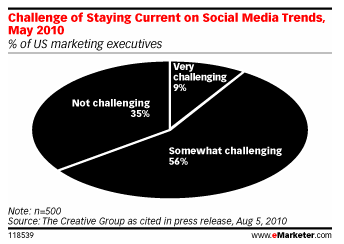 The graph above shows the breakdown of how challenging respondents viewed staying current with social media trends. In addition, 23% of respondents cited the best resource for staying up-to-speed on social media is conferences or seminars. Surprisingly, and coming in second at 18%, was attending networking events or industry association meetings. Only 14% cited Twitter, Facebook and LinkedIn posts as their resource of choice for staying current, while a low 7% cited blog posts as their main resource. 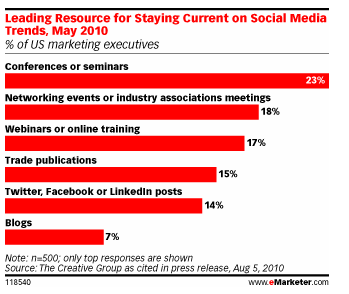 The chart above shows the leading resources marketers cited for staying current with social media trends. Notice how social media sites were less popular than in-person events as key resources. We want to hear from you! Do you agree with these findings? How do you stay current with all the social media changes, updates and new trends? Let us know your comments in the box below.